Old church in Balayan, Batangas. Image source: Municipality of Balayan web site. We return to the series in this web site that has been painting descriptive pictures of the towns of Batangas late in the nineteenth century based on the narratives of the Spanish former government official and historian Manuel Sastron. These narratives are contained in the book “Batangas y su Provincia1” (Batangas and its Province), published in Malabon in the year 1895. It was bounded to the north by Tuy, wrote Sastron; and the two towns were separated by the Muntingtubig River. To the east was the town of Calaca, separated from Balayan by the Dacanlao River. To the south was the sea; while to its west were the estates of Calatagan and Lian. The distance from Balayan to the province’s capital town of Batangas, estimated Sastron, was 49 kilometers. It was an easy route to travel, he added; and the roads were in good condition and could be travelled by all sorts of horse-drawn carriages. Balayan could also be reached by sea. This main road from the town of Batangas, which went all the way to Nasugbu, put Balayan in touch with Calaca and Tuy. There were also bridle paths (for travelers on horseback) that led to Lian and Calatagan. Balayan’s population at the time was about 19,000 “souls.” Contrast this to the town’s 2015 population2 (as per the Philippine Census that same year) of 90,699. Balayan’s port was well-sheltered during the months when the northeast monsoon blew; but not so when the southwest monsoon came and was prone to swells of the sea. Three major rivers flowed through pueblo: the Binangbang, Gimalas and the Dilao. Of these, wrote Sastron, the Binangbang was most significant. There were also various streams and estuaries in the town. Balayan’s total territory, wrote Sastron, amounted to some 10,000 hectares, of which 9,000 hectares were cultivated. Most of these agricultural lands were dependent on rainfall; and only about 600 hectares was irrigated. Irrigating the lands, suggested Sastron, would have been a simple matter of building dams along the pueblo’s major rivers. He lamented that the “beautiful dam built on the Dilao (river), not far from the Araullo house” was not in an optimal condition. Apart from being able to provide what he called “honest utilities,” Sastron also wrote that the machinery used in the dam could have been a “prodigious demonstration” of how beneficial it was to apply emerging technology to agriculture. Sastron named Balayan as “the most important sugar town.” Most of the unirrigated land was planted to sugarcane; and the town’s residents had devoted themselves to the sugarcane fields with great energy. This was not just down to the great demand for sugar but also its excellent price in the market. In fact, the cultivation of indigo and cotton had become all but neglected. There were 14 or 16 steam-powered sugarcane mills, wrote Sastron; and more than 150 more made of wood and iron (the sort operated by beasts of burden). Sugar was considered an important product in Balayan, and there was one farmer who harvested the colossal amount of 150,000 picos3. Generally, the wages earned by workers in Balayan were less than what those in other pueblos could expect to get, especially the workers needed for agriculture. Carpenters were paid ¢12 and masons who did the stonework received ¢25. Because a great majority of Balayan’s lands were used for cultivation, there were few forests and these were mostly in privately owned lands. In these forests could be found species such as the molave, banaba, acle (East Indian walnut4), bangkal, santol, bagarilao5, suluen and nangka. Residents of Balayan did, however like to breed animals, especially poultry; and exported these to nearby markets and even to Manila, where many of the town’s sows were sold. A carabao went for ₱25-35; a bull for ₱40-50; and a horse for ₱30-80. 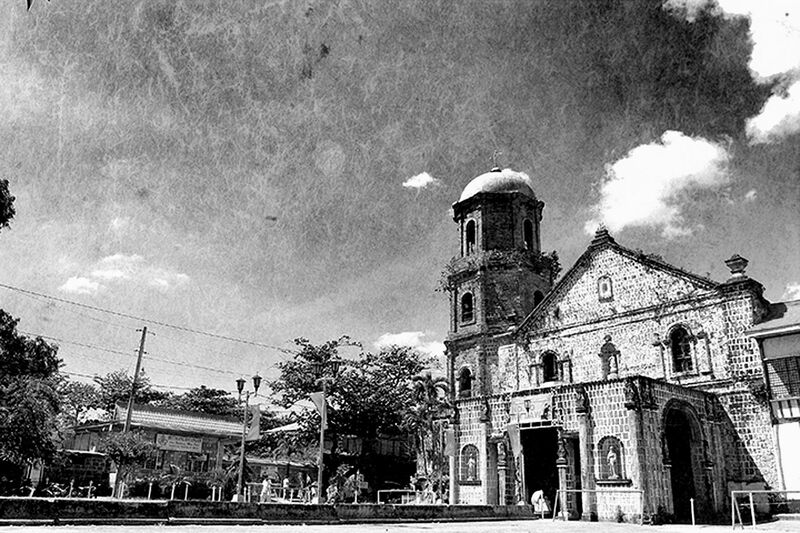 Among Balayan’s public buildings were the church and its adjoining convent, which Sastron described as of “good construction and good taste” due to the esthetic sense of the parish priest, the Recollect Father Gervasio Burguera. The town’s courthouse was made of stone but needed repairs. The school buildings were in poor condition, but Balayan was fortunate to have a teacher who had a great ability to teach. Consequently, there was more interest in getting an education in Balayan than in many other pueblos of the province. Serious crimes were rare in the town. Sastron observed that the town’s residents must have been a tad melancholic in contrast to their ancestors, who used to sing and dance the “comintang6” as they cultivated their fields. He recalled that Balayan was the capital of the entire province until 1732. Balayan had a “healthy population,” Sastron went on, and this was largely due to the town having to reputable doctors. One was Dr. Galicano Apacible, who studied in Barcelona and Madrid; and other named Don Vivencio Ramos. The town also had a good pharmacy and a vaccinator. In a place called Gapas, in the barrio of Sampiro7, there was a spring known for its mineral bicarbonate waters, believed to be medicinal. The town’s cemetery was also located north of the town, well within the standards of hygiene set by the colonial government. In terms of industry, apart from the manufacture of sugar, Balayan was also known for the manufacture of alcohol, a natural adjunct of the sugar manufacturing industry. The town was also known for homemade looms with which women wove cotton and piña cloths. In Balayan could be found a wide variety of fauna: bats, deer, wild boar; and birds such as the calao (kalaw), hummingbird, rooks, sparrows, swallows and many others. Sastron also marveled at the town’s beautiful flowers and singled out the sampaguita and varieties of roses, all suave in smell and perfectly formed. 2 “2015 Philippine Census,” online at the Philippine Statistics Authority. 3 The “pico” was a Spanish unit of measurement. Wikipedia. 5 “Bagarilao” is known by the scientific name xanthophyllum excelsum, online at Woodworkers Source. 6 The “kumintang” were early Batangas dance-songs. Philippine Dance, CCP Encyclopedia of Philippine Art. Volume V.
7 Sastron was probably referring to the present-day barrio of San Piro in Balayan.